Like any group of people who dedicated thousands of hours without financial recompense, Ampersand Books is fueled by obsession and insanity. We reject the notion that people no longer read, that they only read celebrity bios and tell-alls, and believe instead that authors who've never published before might actually have something to say. We believe, further, that there are enough insane obsessives out there to make this venture worthwhile. We are also given beer, which helps. In no particular order: Lawrence Raab, Danny Lawless, Melissa Broder, Blake Butler, Mark Danielewski, Melville, William Blake, Gabriel Garcia Marquez, Tom Robbins, David Schickler, and / Charles d'Ambrosio. Thanks for your comment on "Blossoms and Buds." Ampersand Books, I wanted to say thank you for the lovely comments you made on Things I Should Have Done - #3, so glad it worked for you. Up here on fictionaut as well are Things I Should Have Done -#1 and #2, and just today I posted #4. Hi, Jason! Welcome. it's great to have you here! 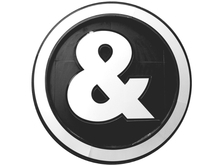 You must log in to write on Ampersand Books's wall.